When I think about this topic, I find two voices inside me, vying for expression – the Cynic, and the Idealist. I cannot suppress either one – so I’ll give voice to both of them! When we are young, embarking out into the real/business world, we often breathe in the heady vapors of everything’s possible!!! Then, after some decades of being pinballed around through life, you realize that, in fact, lots of things don’t change – especially people. It’s a painful realization. The battle-scarred, experienced traveler gains realism, wisdom, and – generally – more than a touch of cynicism. 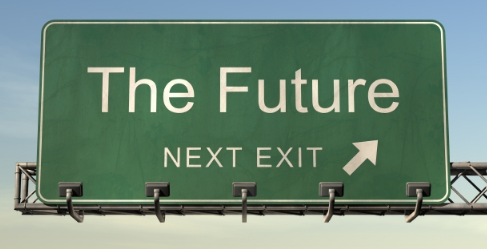 So what will the future of leadership look like? Probably, a lot like the past. Because, people, we’re dealing with people – and from time immemorial, people have been driven by greed, ego, selfishness, short-term gain, cruelty, and a host of other unsavory motives. If you have read any history, and if you read any newspapers, you see that nothing much has changed in thousands of years. Sigh. The network model of work is slowly displacing the pyramidal command-and-control model. It’s no longer necessary to climb the ladder and lose your soul along the way. The wide-open digital disclosure of information exposes bad leadership practices to a global audience – it’s a lot harder to hide nowadays! Causes and meaningful work are slowly emerging as an alternate model to fitting into someone else’s corporate machine to earn a paycheck. In fact, new leaders are emerging – and we’re not limited to trying to turn some pre-existing corporate battleship. Opportunities abound in the digital economy for creating new work models, leading like-minded teams (irrespective of geography), and generating outsized influence. So, maybe the future of leadership will look different. Because…well, we’re in charge now. And we don’t have to cash in our ideals.